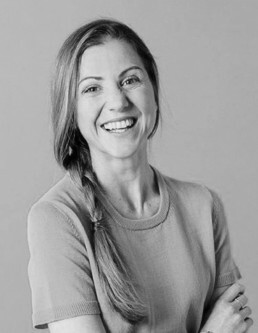 Australian born Kate Venables trained in dance at the Queensland Dance School of Excellence and the New Zealand School of Dance before dancing professionally for the Royal New Zealand Ballet from 2002 in soloist and principal roles and cites roles in Michael Pinks DRACULA, Javier De Frutos MILAGROS and David Dawsons’ A Million Kisses to my Skin as career highlights. Following a significant back injury and period of rehabilitation, Kate trained formally in the Pilates method and has been teaching Pilates in Wellington since whilst simultaneously building her portfolio of creative work in costume design and manufacture. Kate has been commissioned to design costumes for several contemporary ballets for the Royal New Zealand Ballet, Royal Ballet of Flanders and Ballet Dortmund as well as her work being featured in short dance films. In 2010 Kate began working as a costume technician at Sir Richard Taylor’s Oscar award winning special effect studio, Weta Workshop, based in Wellington New Zealand, creating costumes, armour, weapons and props for feature films, theatre and public art display. Here Kate specialised mainly in leatherwork and armour and weapons production, prototyping, manufacturing and managing mass manufacture for lead character costume and prop elements for films such as The Hobbit Trilogy, Elysium, World of Warcraft and The Krampus. Kate’s experience at Weta enabled her a comprehensive understanding and practice of the process involved in interpreting costume design, through the prototyping and manufacture process to fittings, on set requirements and costume maintenance in the high paced, exciting and demanding environment of film. As a movement professional, Kate often ended up wearing the very costumes she helped build at Weta on those films, to boomerang her back into the performance field as a creature suit performer, puppeteer and motion capture performer in the New Zealand film industry. Kate has contracted as a motion capture performer and digital reference model for Digital Effects House – Weta Digital on feature films such as The Hobbit Trilogy, The Hunger Games – Mocking Jay Part 2, Dawn of the Planet of the Apes, The Jungle Book and Avatar combining her love of movement, experience in the human biomechanics and artistic character expression in the medium of film. Kate enjoys the multidisciplinary creative adventures the she explores through her work and finds a common thread that runs between them all where each discipline significantly informs another. Understanding the requirements of a performer and the properties of different materials is what Kate believes is the foundation of well, informed design in the context of costume design for dance and it is through movement, art, craft, and design that she hopes to continue to strive to tell stories in dance, art, film and theatre.